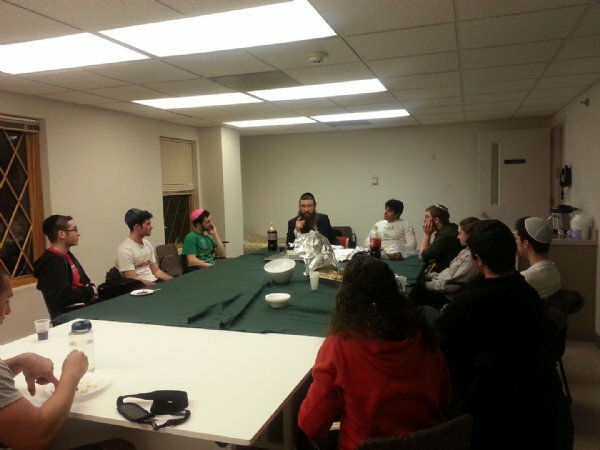 Adam Natan’s memories of his Passover Seders back home in Fort Lee, NJ are a little different than most students at the university. The Rutgers Junior who is from a Sephardic descent, comes from a culture where Passover customs vary including dipping the green vegetable in lemon juice, partaking in foods spiced with mint, pistachios, and cherries, dipping the bitter herb in charoses made with chopped dates and date honey, and taking an unusually active role in the Seder by re-enacting the exodus with such symbolic rites as slinging the afikoman in a large napkin over his shoulder like a knapsack and walking around the table carrying a walking stick. 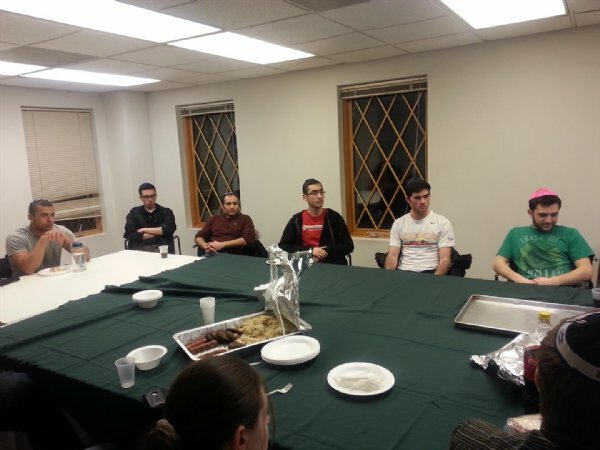 To share his culture with his fellow Jews on campus, Adam together with other Sephardic Jewish students on campus organized and attended a “Passover Series Lecture” at Chabad House to help fellow students learn more about and get more inspired about the Passover holiday. 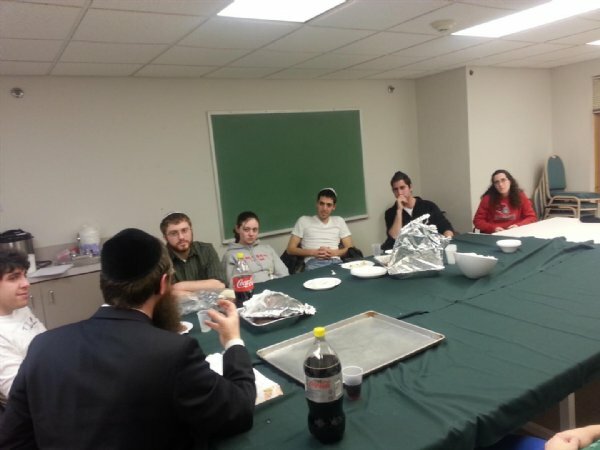 The lecture featured visiting scholar and renowned Rabbi Moshe Doueck from the Sephardic Congregation of Eatontown, NJ, and was well attended by both Sephardic, including Syrian, Persian, Iraqi, and Moroccan students, as well as interested Ashkenazic students. Rabbi Doueck who was raised in Melbourne, Australia, delivered an educational and thought-provoking talk on the history and deeper meaning of the Passover Holiday, highlighting the theme of appreciating the freedom to be Jewish and practice our heritage which all began at the first Passover some 3,320 years ago. 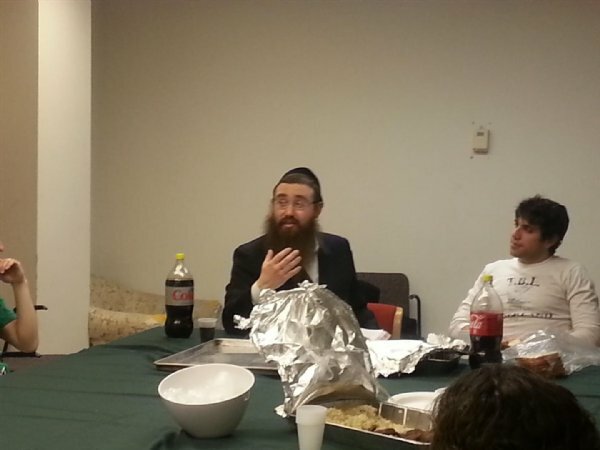 The rabbi also detailed and explained the history and roots of many Sephardic customs relating to the holiday. One such ritual involves the taking of bunches of celery sticks or scallions in hand and lightly beating each other on the back or shoulders to symbolize the sting generated by the whip of the Egyptian taskmasters. Participants then wish each other a green, fruitful year of peace and good fortune. Many Rutgers students were pleasantly surprised to receive a new dimension of the holiday. 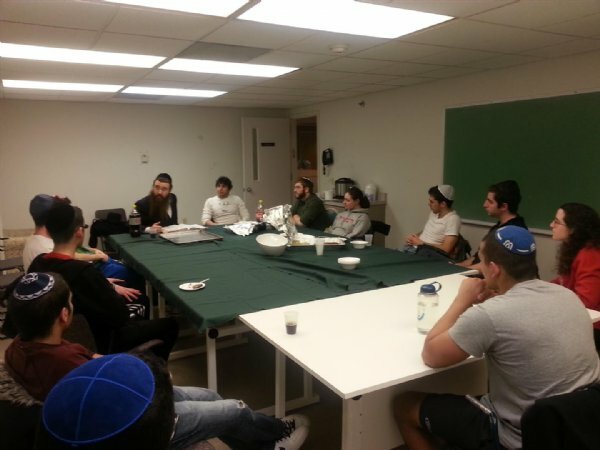 The lecture was arranged by Chabad’s Educational Director Rabbi Shaya Shagalov. Presently, plans are under way to create a bi-weekly class with visiting Sephardic rabbis from the Deal and Brooklyn communities. For further info, please call Chabad House 732-296-1800.